Since our founding in 1994, Lightning Bolt & Supply has been completely devoted to meeting the needs of our customers needs. 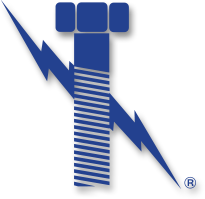 When Lightning Bolt performs vendor managed inventory, we do what our competitors don’t…We listen. Check out our new VMI video to learn how easily Lightning Bolt can meet your MRO needs. Simplify and stop running out of supplies today…. PS> Try our new smart phone app “VMI BOLT BINS”. Why Lightning Bolt for VMI?